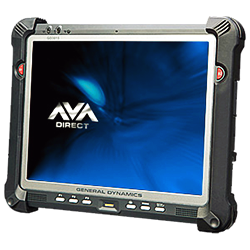 AVADirect, a recognized leader in the computer industry, introduces innovative notebooks and tablets to its lineup of rugged mobile platforms. The GD Itronix notebooks and tablets give AVADirect another leading niche; the ruggedized mobile platform market. AVADirect has been offering rugged solutions since the business opened in 1999, with their Getac and Gammatech offerings. GD Itronix combines the durable form factor, and high-performance of today's standards to bring a product that is sure meet any and all requirements set forth.